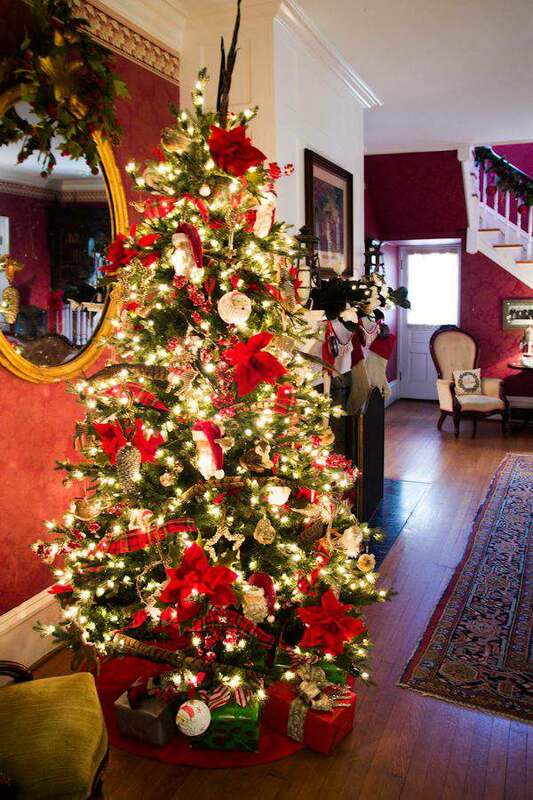 One of my favorite things to do during the holidays is to visit decorated historical homes. One of those homes is located at Leu Gardens located in Orlando, Florida. The Leu House, which is actually a museum, is a 19th century home which has been restored to its period beauty. But, before I tell you more about the home and take you on a Christmas tour, let’s take a look at the gardens first. 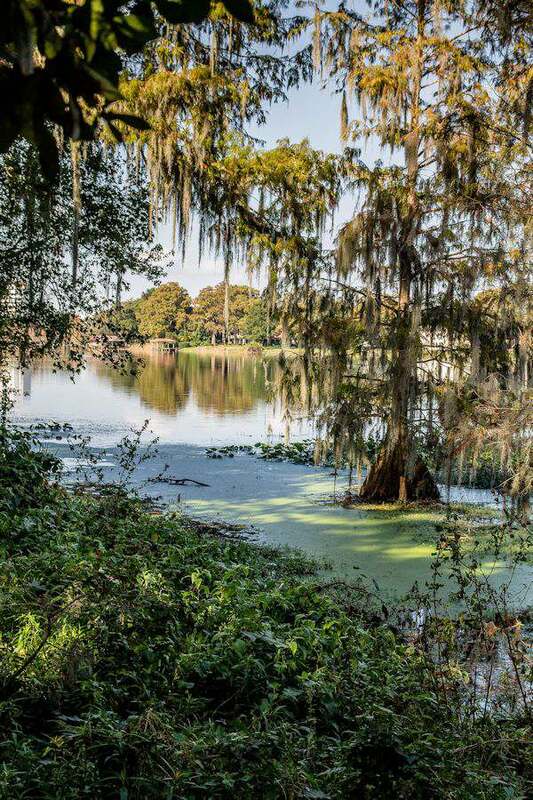 Leu Gardens is located minutes from downtown Orlando and is 50 acres of beauty all year long. Since these gardens are located in Zone 9b, there are blooms all year long. 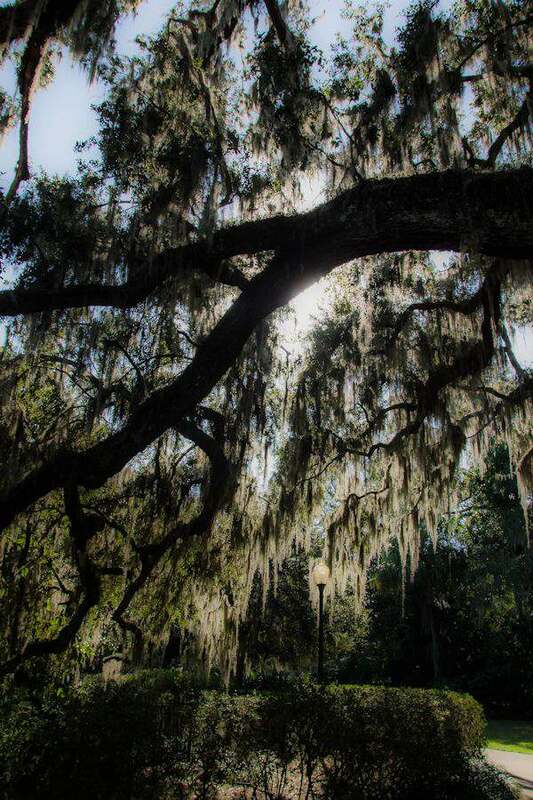 You will see massive Live Oaks are throughout the gardens. There are several water features throughout the gardens and is located on Lake Rowena. The gardens have several paths which will lead you to 14 different types of gardens to explore. My favorites were the vegetable garden and the butterfly garden. 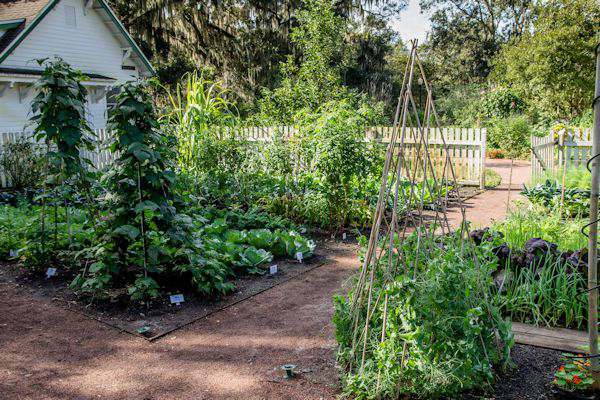 At the vegetable gardens, there are several examples of how to grow a garden in the ground and different levels of raised gardens. And a few whimsy ways to plant a garden. I was in love. 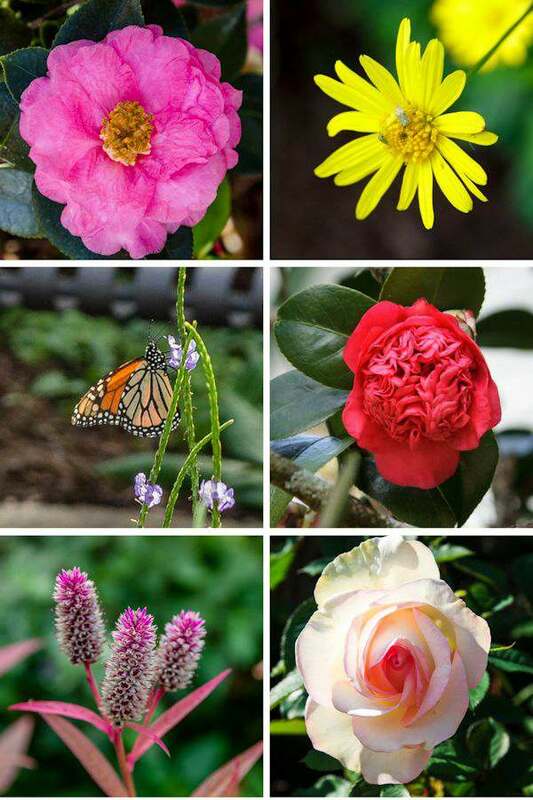 If you love Camellias, you will love Leu Gardens. They have the highest concentration of camellias in the southeast. They usually bloom from December to the early spring. There are over 2000 camellia plants with over 200 different types of species to enjoy. If you love roses, there is a really nice example of roses in the Rose Garden. There are several varieties of azaleas, vines, bromeliads, trees and tropical philodendrons and familiar annuals all around. Don’t forget to bring your smartphone and QR reader application to scan QR Code images on many of garden signs to display additional information about the collections of plants. When you plan to visit, please check the What’s in Bloom before you head out. There is beauty everywhere you turn. As you follow the paths, you will make your way to the Leu home. Guided tours of the Leu House are available on the hour and half hour starting at 10 a.m. with the last tour at 3:30 p.m. 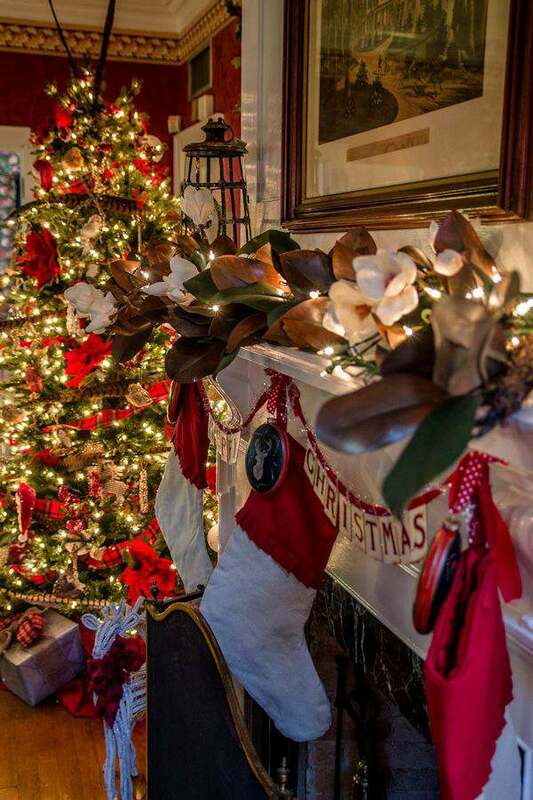 The Leu House Museum is closed in July for restoration and December 25. 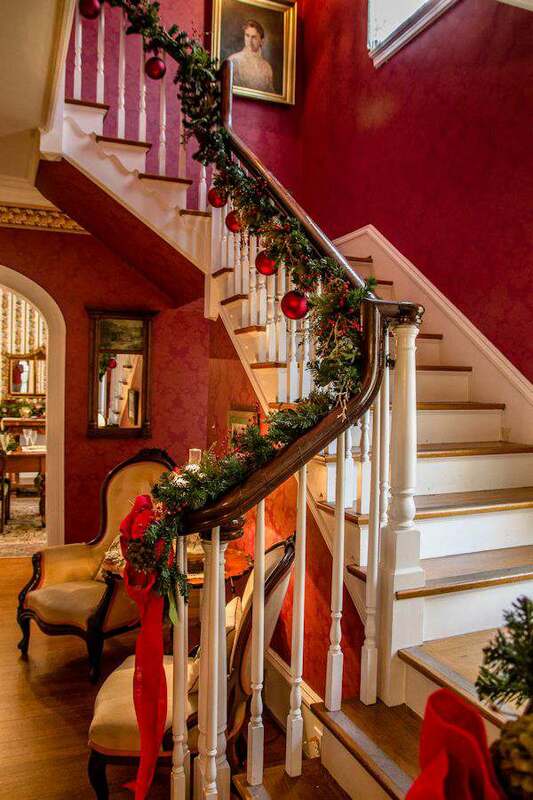 When the front door opens, you are greeted by the grand staircase beautifully decorated. 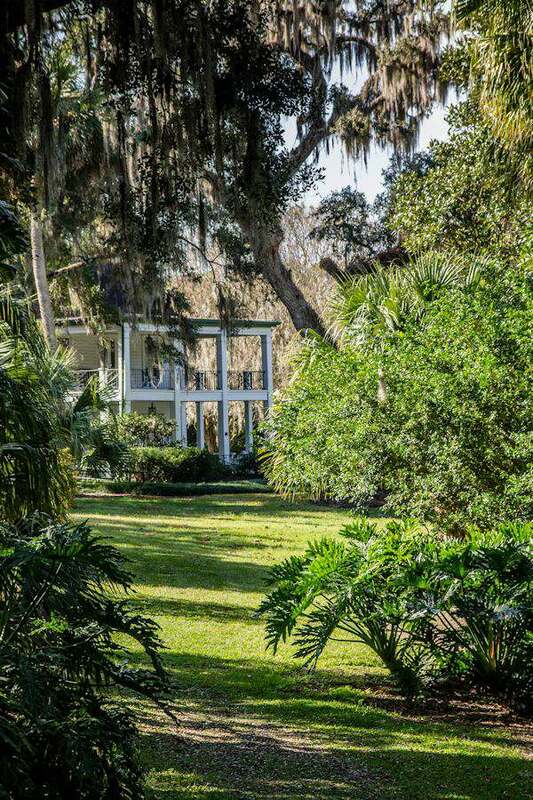 The Leu home has been owned by 4 families since 1848 until the gardens and historical home was donated to the City of Orlando in 1961 by Mr. Harry P. Leu and his wife, Mary Jane. The furniture and decor have been restored back to period time. 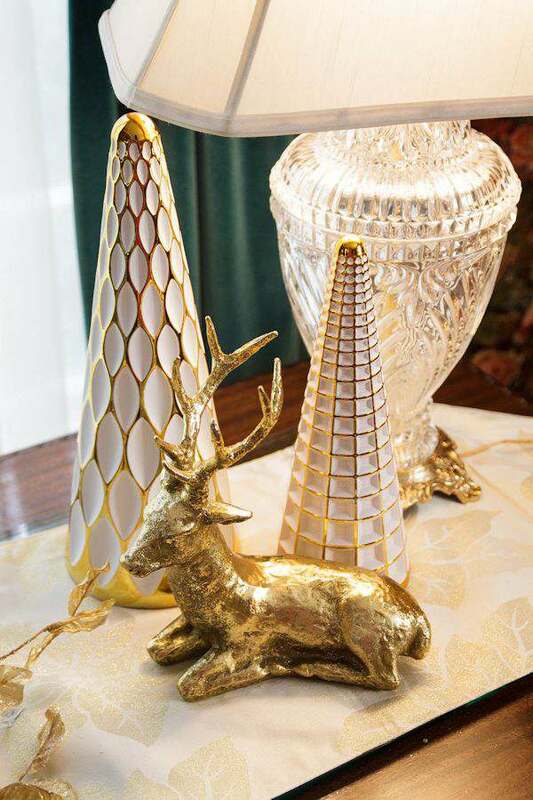 The Christmas beauty can be found in every room of the home. 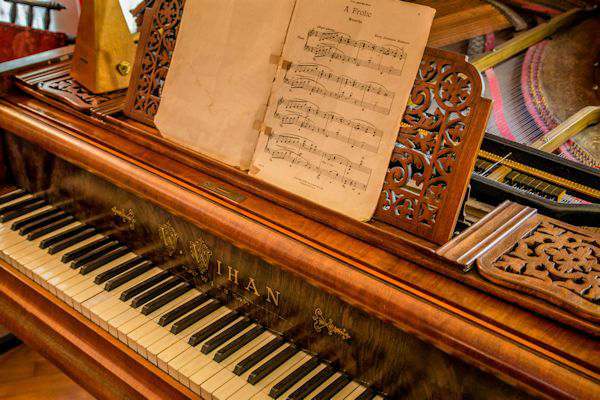 The grand piano is breathtaking. Small items are used to decorate throughout the home. 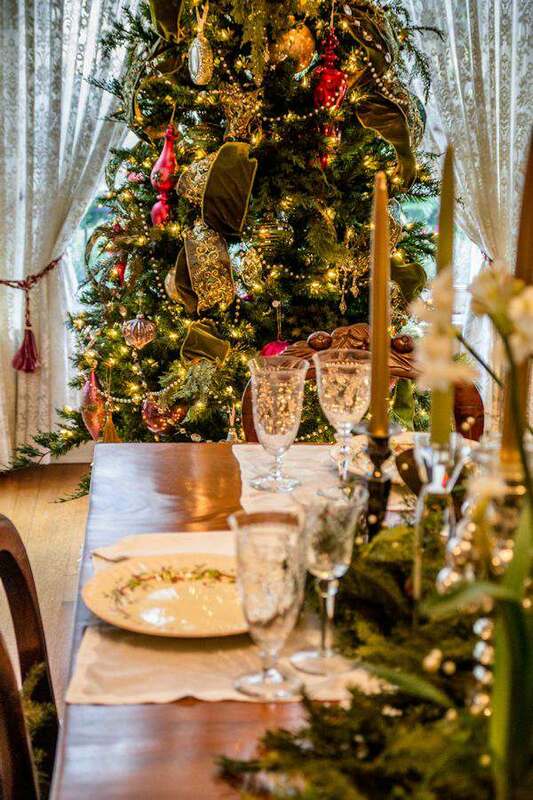 The dining room was also decorated with the finest of China and its own tree. 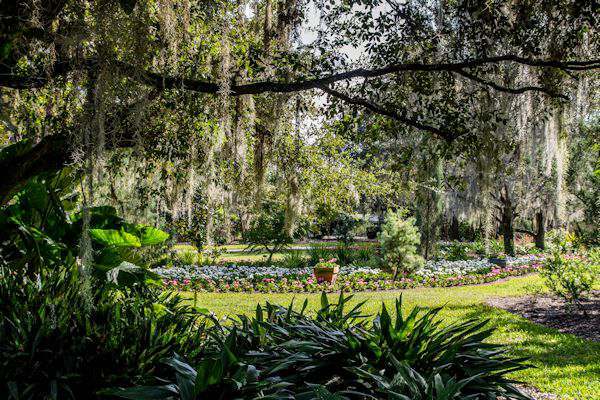 Leu Gardens holds several events throughout the year and if you are looking for that special place for a wedding, look no further. There are several days of the year where admission is free, so be sure to check out the Visitor Information page on their website. There are also special events for children to enjoy. There are also classes and clinics to attend. The home is located at 1920 North Forest Avenue, Orlando, FL and the phone number is 407-246-2620. The older homes in Central Florida are absolutely stunning. They’re such a mixture and taste in architecture. The design elements also reflect the heritage of the people. Florida the only state that I’ve ever been in that opens up its old mansions for tours around the holidays. It’s really cool! Florida does open many of their stately homes. I use to live in Georgia and they do the same thing. I just love them all Chrissy. What a beautiful home. Love the holiday decor in the house. I’m big fan of garden and little vegetable raised beds gardening that’s so wonderful! Great photos btw! That garden is just stunning. My dream garden 🙂 beautiful but the upkeep scares me I do grow my own vegetable and sometimes I have a hard time just keeping up with that. Beautiful photos. I love visiting older homes too and your photos here are beautiful! In all the times I’ve been to Orlando I can’t believe I’ve never heard of this place. Thanks for sharing about it. I’ll definitely have to check it out on a future trip! 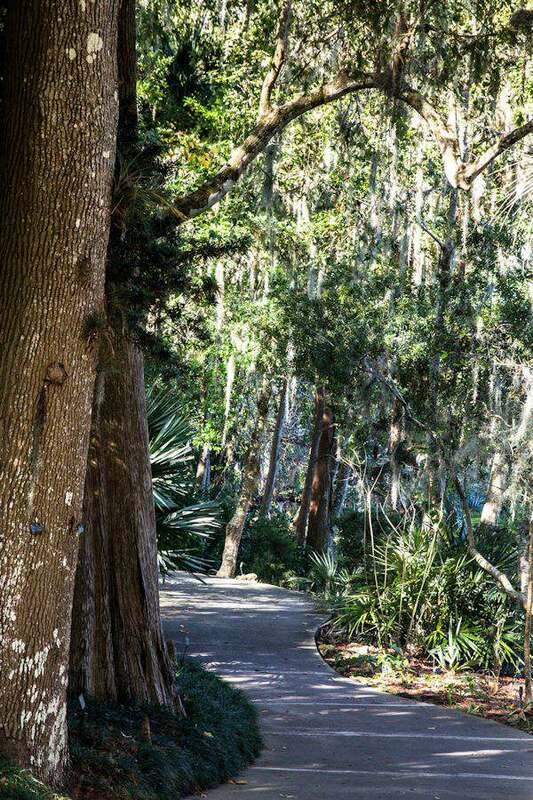 I live nearby in Tampa and hadn’t heard of Leu Gardens before. It looks like a truly magical place for the holidays. Adding it to my list! This looks like an awesome place. So pretty! The Leu House looks like such a beautiful place to visit, especially at Christmas time! Those gardens are so beautiful! I will definitely need to stop by the next time we head to Florida! It is definitely looking like Christmas here. I would love to have been able to visit the gardens. Its a gorgeous and humble home. And I like the luscious garden and flowers. I could imagine the parties here and weddings! Wow, this is so unique! This looks like such a beautiful destination to spend Christmas. I don’t think we have ever spent the holidays in a place that didn’t have cold winters.